Take Exit 21 for SeaWorld Dr./Tecolote Rd. and head West on Sea World Drive for approximately 1.5 miles. The park entrance will be on the right. Merge onto Interstate 5 North toward Los Angeles. Then on I-5 North, take Exit 21 for Sea World Dr./Tecolote Rd. and head West on Sea World Drive for approximately 1.5 miles. The park entrance will be on the right. SeaWorld is known for it's spectacular animal shows, including dolphins and the world famous Shamu! But they also have aquariums that feature over 5,700 fish, representing 434 species from around the globe, along with sea turtles, 300 penguins and a 280,000 gallon shark tank with a submerged viewing tube through the middle for an up close encounter. The only way to get closer to these amazing animals is to go scuba diving in San Diego! Besides the aquarium animals there are many rides and attractions to keep you entertained for more then just one day! Various Options available. See website for details. 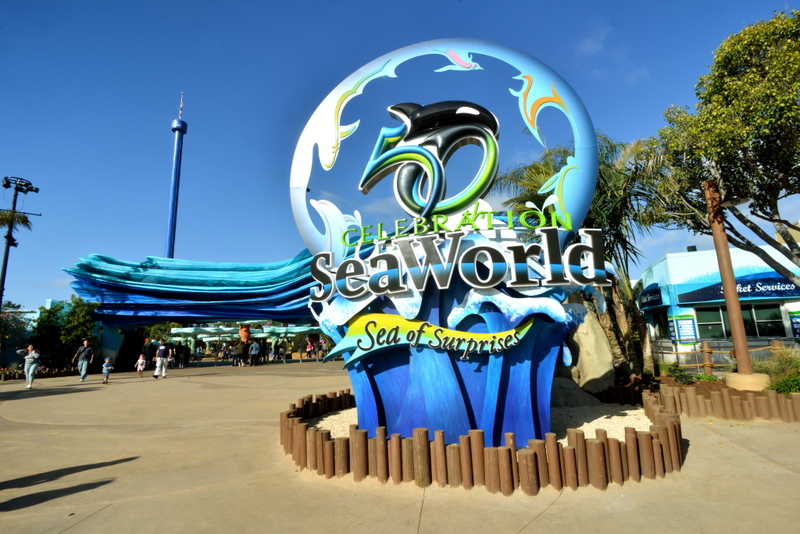 Plan a day at the park with a SeaWorld San Diego $69 Ticket or check out the San Diego vacation packages offered by SeaWorld to get a great deal on your vacation.